Plans to raise the maximum level for tuition fees from £9,000 to £9,295 in Wales have been scrapped, Education Secretary Kirsty Williams has said. The income at which graduates will have to repay student loans will be raised from £21,000 to £25,000, she added. It comes after the UK government pledged to freeze the maximum fees in England at £9,250. Ms Williams told AMs the announcement had caused "turmoil" in England, but one Tory AM accused her of a U-turn. If the Welsh Government's tuition fee rise had gone ahead, the maximum level would have been higher than the top rate in England, but a freeze in fees could leave universities with less money than they would have expected. The announcement also matches the prime minister's pledge to raise the loan repayment threshold. Ms Williams told the assembly's education committee on Wednesday: "Many unscheduled changes recently announced in England are having an impact on their ability to follow a consistent approach to policy development and initiatives in higher education. "One only has to look at the front page of The Times today to see the turmoil there is across the border. "I will not allow such instability and incoherence to knock us off course here in Wales, from delivering on a stable and sustainable system. "We will bring forward regulations to increase the repayment threshold from £21,000 to £25,000, subject to concluding discussions with HMT [the Treasury]." Scrapping the plan to allow tuition fees to rise in line with inflation, Ms Williams said: "We will maintain the maximum fee level at £9,000. "We will allocate an additional £6m to HEFCW [Higher Education Funding Council for Wales] in this financial year to deal with short-term implications affecting the sector, primarily demographic changes and threats from Brexit." Another £10m would be provided to deal with "immediate issues arising out of the tuition fee changes". Ms Williams said the longer-term Diamond reforms to student finance in Wales remained on track. These would replace tuition fee grants of £4,954 with support for living costs. Conservative AM Darren Millar said: "I'm very pleased to see this U-turn, which I urged you to do in the immediate aftermath of the UK government's announcement. "I thought you should have done it earlier." Plaid Cymru's Llyr Gruffydd claimed the announcement was "a significant victory for Plaid Cymru and others who campaigned against the tuition fees hike". Ellen Jones, president of the National Union of Students in Wales, welcomed the fee cap staying at £9,000 as "an incredibly positive development", saying: "Students cannot be expected to shoulder the burden of austerity." She added that raising the repayment threshold to £25,000 would also "go a significant way to lifting the barriers that students face in terms of loans". Prof Julie Lydon, chair of Universities Wales, said they welcomed the extra £10m for 2017-18 to compensate for the cap on fees, and Ms Williams's promise to work with them to find a longer-term solution to their funding needs. She said it would "enable our universities to continue to deliver a comparable student experience to that available in better funded institutions across the border". There is a lot of speculation about the future of tuition fees in England after Theresa May announced they would be frozen next year. 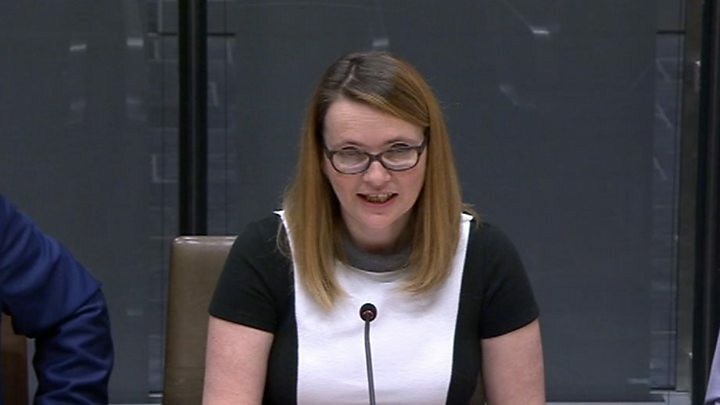 Welsh ministers decide policy for universities here but Kirsty Williams has repeatedly said that the sector in Wales "does not operate in isolation". The opposition parties say this is an U-turn - but she says she's offering stability. And the political implications of this will have been an important factor - particularly for a Liberal Democrat minister whose party was damaged so badly by this issue in the past. It would have been difficult to defend a situation where fees in Wales were higher than in England next year, even if by only a few pounds.